Components in aircraft that do not lend themselves to easy lubrication or that are not suited to be lubricated while in quick motion may require a semi-solid lubricant known as grease. These lubricants have excellent stability and have extreme resistance to changes in viscosity depending on grease type. Liquid lubricants may not be able to consistently provide sufficient lubrication to fast-moving components. When operating at high speeds, these components can “fling” thinner oils off of the surface, allowing corrosion and wear to occur. As such, greases provide the perfect consistency to stay adhered to the surface they seek to protect. Often used in wheel bearings and some engine components, greases are designed to perform at high levels regardless of temperature fluctuation and may be able to handle extremely heavy loads. Greases may also be useful to lubricate the airframe. The additive systems in these lubricants are of a certain variety that cannot be contained in liquid lubricants. 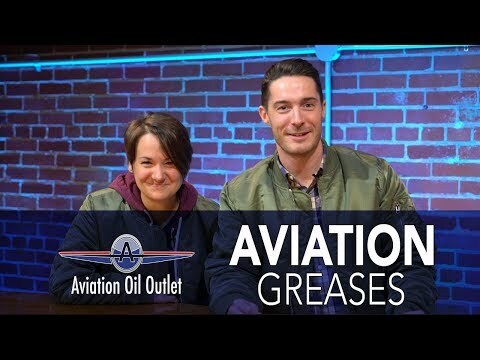 Boasting unique characteristics and exclusive applications, greases are a must-have for anyone seeking to sufficiently lubricate and protect their aircraft.